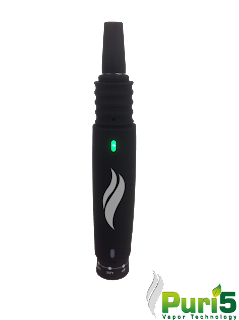 The Magnum Dry Herb Vaporizer Pen by Puri5 has a current list price of $100. This pen is easy to use and comes with get instructions and very thing you need to get started....well besides the dried herbs. This pen offers a wide range of temperature settings from 310F to 400F. The easy adjusting bottom dial is easy to turn making it easy to control and it heats up quickly. Yet the pen is not an issue to hold so it is well insulated. It uses a standard USB charger port that is included(wall adapter not included). The mouthpiece is made up of a soft and flexible material that is very comfortable. It has a discreet design with no transparent glass or plastic chambers. New sleek and crafty design of this Magnum Pen dry herb vaporizer that truly produce 100% pure vapor. The Magnum Pen oven is made of 100% ceramic with the out layer of heat absorbing premium rubber that feels right when contact with skin. 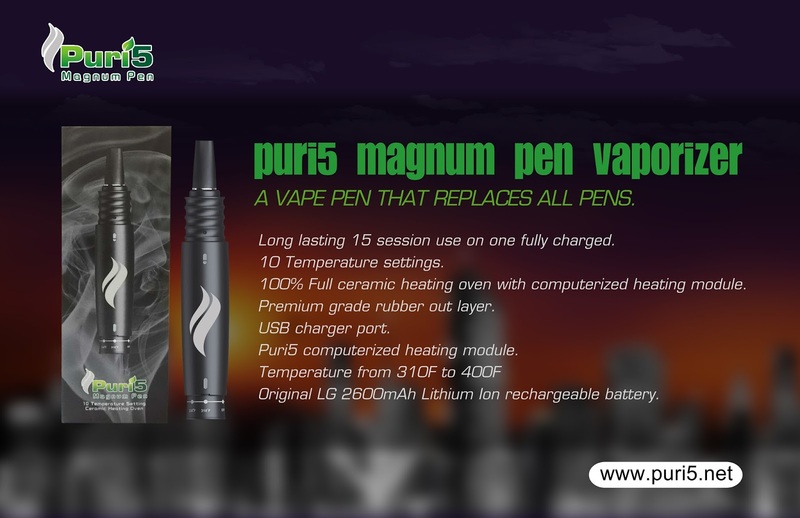 The Magnum Pen heating element does not have a heating coil like other pens do and combust upon contact with herb. The Magnum Pen oven are fully ceramic with computerized heating module and air circulation. There’s 10 temperature settings with the design of an telescope to each different settings from low to high on the bottom. The battery was also perfected to last 15 sessions 7 minutes per session on a single fully charged. 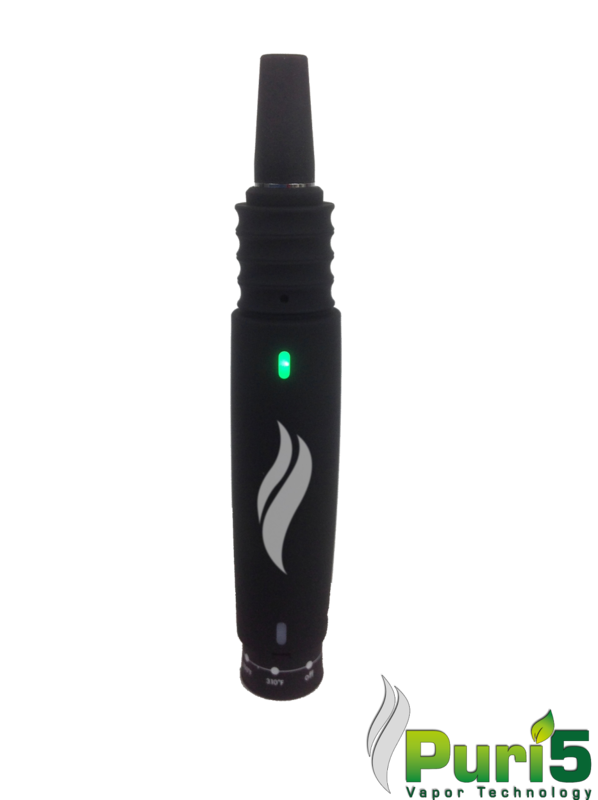 Long lasting 15 session rechargeable lithium Ion battery. 100% Full ceramic heating oven with computerized heating module. Premium grade rubber out layer. Original LG 2600mAh Lithium Ion rechargeable battery.